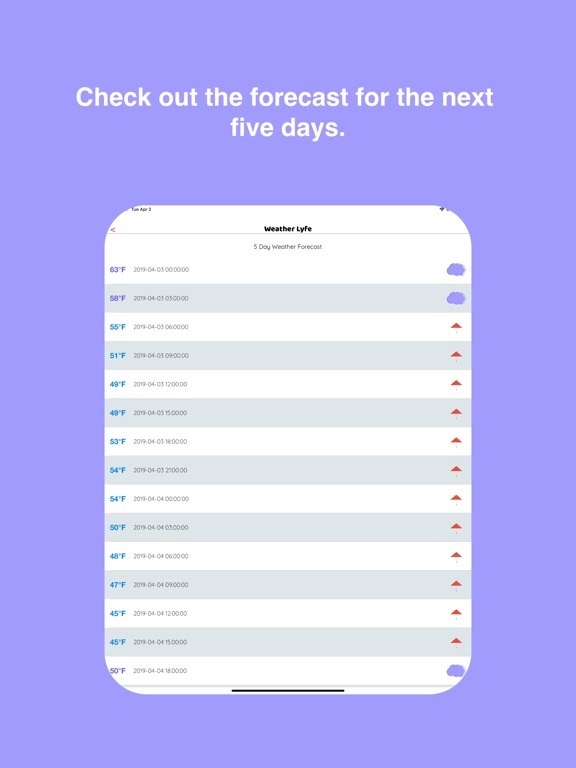 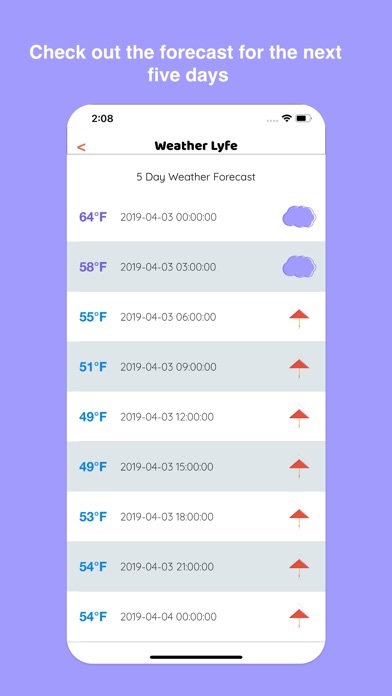 Weather Lyfe is an app designed to give you the current weather in Fahrenheit, weather status, the high and low for the day, wind speeds and air pressure, along with the forecast for the next 5 days. 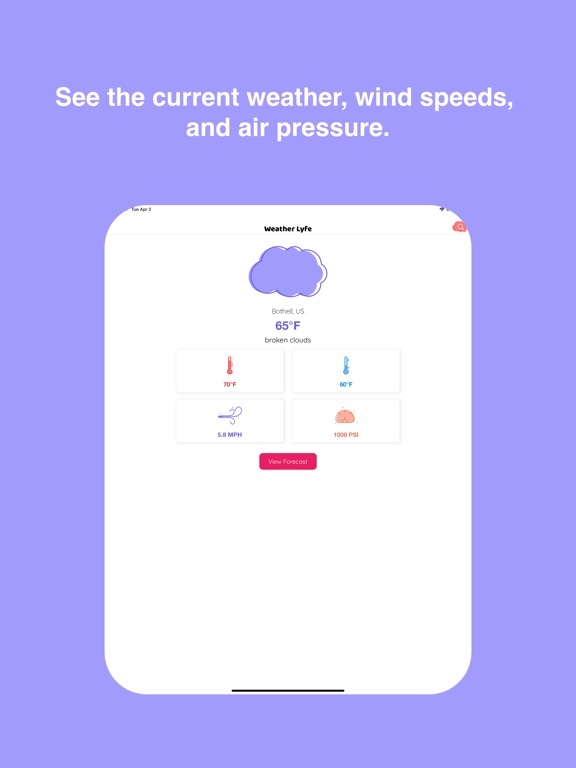 This app is clean and minimal but exceeds at what it aims to do, to give you the important details for any city, state, or country in the world at one glance. 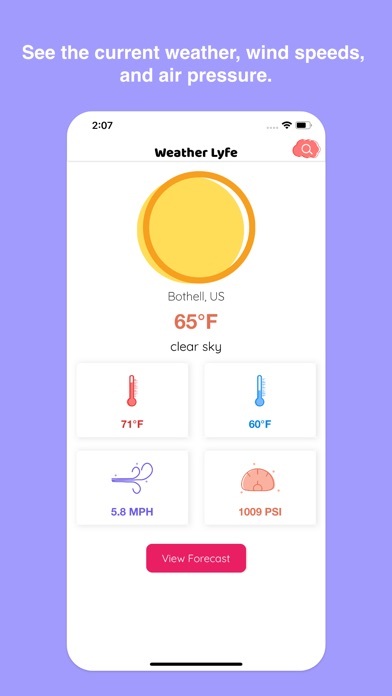 Weather Lyfe will now get your weather from your location automatically, so you don't need to manually search your locations weather every time! 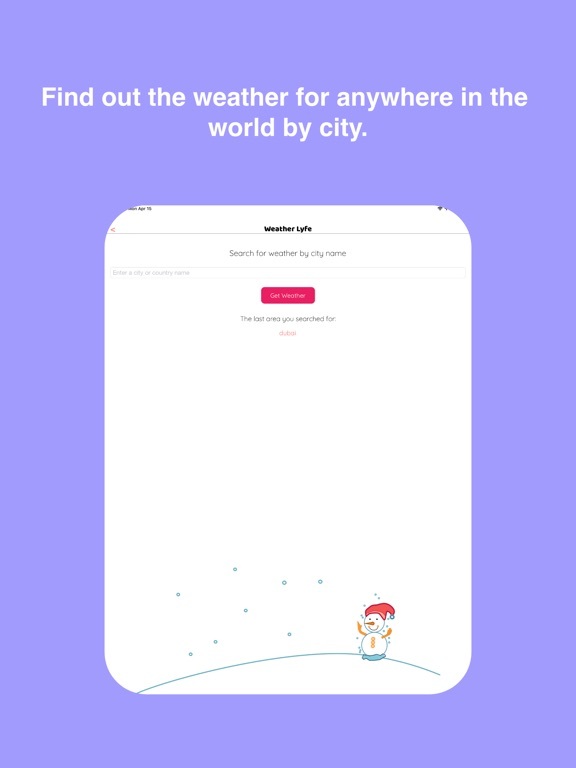 Also, your last city/town/country search result will now be stored on the search page.